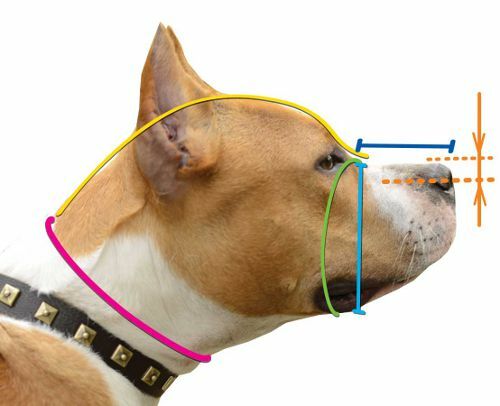 This Staffordshire Bull Terrier muzzle is designed according to the breed's unique facial and head structure to securely keep your Staffordshire Bull Terrier from biting, licking, chewing, eating of rocks, garbage, poison, etc. 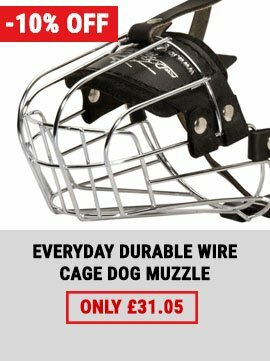 Staffordshire Bull Terrier dog muzzle also prevents injuries from dog fights. Super ventilation design. Genuine Italian leather. Padded on nose with thick felt for maximum comfort and to prevent rubbing. Your Staffordshire Bull Terrier will be allowed for transportation if properly muzzled. 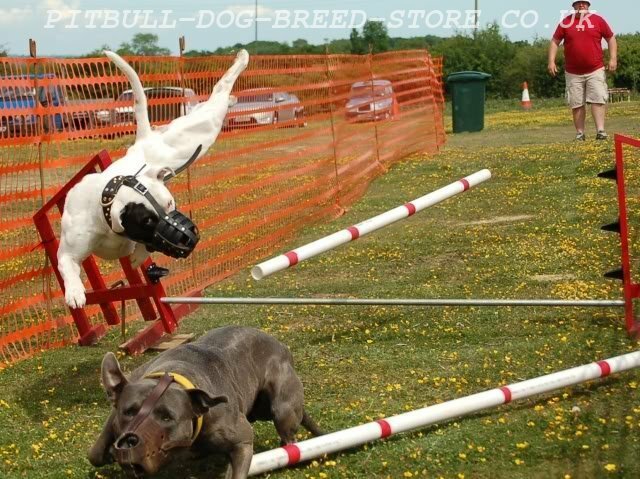 Our leather dog muzzle is the most right choice for your Staffordshire Bull Terrier! 1. 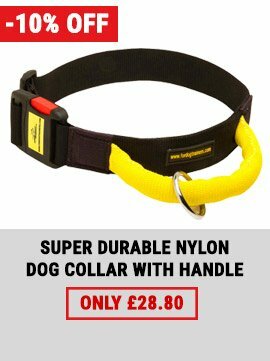 Hi, we are delighted with the muzzles, the dogs sit quietly to have them put on, they fit perfectly, don't inhibit them at all and they can pretty much function as normal, without the worry of a fight breaking out! Thanks again - great product. 2. We have received the package yesterday evening. The muzzle sits perfectly with our dog. Now he can be checked by vet quiet and safe:) Thanks for the great result. 3. I have received the muzzle for my Staff/ Jack Russell Terrier cross-breed and I'm so happy. Quality construction, well-made, soft and flexible high-quality leather. Sensible nose area padding, quick-release buckle, a lot of ways of adjustment. Design is very reliable. My dog looks wonderful in it, and though he hates to wear muzzles, in general, he tends to forget that he wears that gorgeous muzzle! Fordogtrainers were great during all the process, recommending different muzzles one by one, I chose without an idea about right shape for my dog. They are well informed and customer support is excellent. 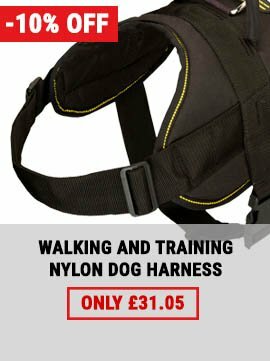 See also our collection of dog harnesses for Stafford. The best way to preserve initial condition of this leather muzzle is lubrication with our Leather Care Balsam. Finally we have found a proper muzzle! Our male Great Dane feels obviously comfortable in it and he can't put this muzzle off. We have such problem with many other muzzles. 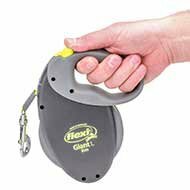 Moreover, these muzzles are not expensive in comparison with prices at other dog products stores. The muzzle is not also made according to measurements, but also suitable for use. My dog gets enough air, besides, there is enough room in the muzzle. The product is worth recommendations!